It’s very hard to explain to Wall Street protesters that you need 60 votes in the Senate. 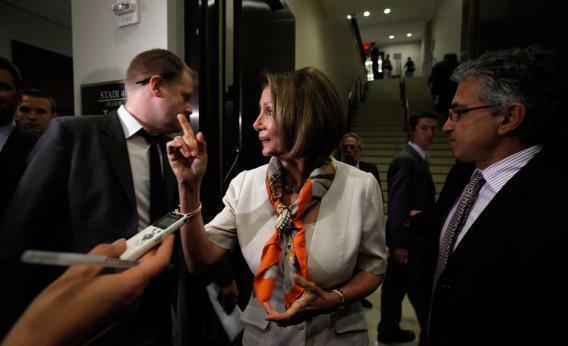 Pelosi today, at the Democratic leader’s weekly press conference, after being asked whether the Occupy Wall Street movement blamed Democrats just as much as Republicans for the mess we’re in. This is a dodge that has the advantage of being true; Matt Yglesias probably has the best summary of what Democrats would have ended up doing had, say, Al Franken been seated in January 2009, and Ted Kennedy retired in 2008 to be replaced by Mike Capuano.